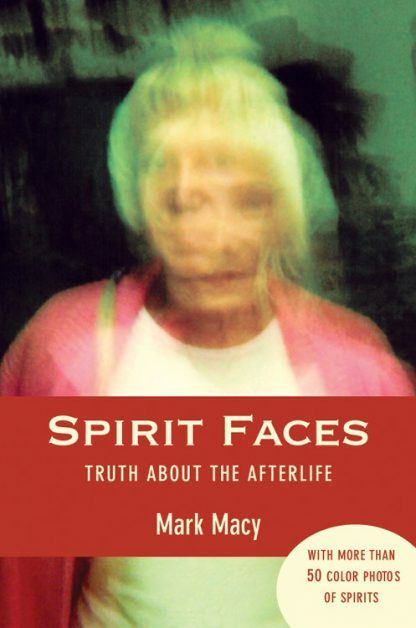 Spirit Faces is a visionary book about the afterlife based on Mark Macy's fifteen years of research, with special emphasis on a growing collection of unique photographs in which he captures clear faces of nonphysical beings- spirits. These photographs and other results of his research provide some of the first solid evidence, and verifiable proof, that life continues after death of the physical body. Macy weaves his groundbreaking information into a clear picture of life on the other side. He explains in easily digestible terms how loved ones, ancestors, angels, and ghosts all play a part in the affairs of our world, and how we humans can attract the supportive and loving spiritual influences that we desire. Mark Macy is a prize-winning researcher and the author of Miracles in the Storm, along with numerous articles. He has appeared extensively in print, on radio, online and is scheduled to be included in a SciFi Channel special tentatively set late 2006. Many samples of contacts with the other side can be seen and heard on his website, www.worlditc.org. He lives with his wife, Regina, in Denver, Colorado. Gary Leon Hill is an award-winning playwright whose work has been produced at theaters throughout the country. He has received grants from the National Endowment for the Arts, the New York Foundation for the Arts, The Rockefeller Foundation, AT&T, and The Pew Charitable Trusts. His plays include Food from Trash, Back to the Blanket, Say Grace, In a Beginning, and 8 Bob Off. A photographer and filmmaker, Hill worked early in his career with Robert Frank and Rudy Wurlitzer on the films Life Dances On and Energy and How to Get It. He lives in New York City.